Warning: plot summary below contains spoilers for Revive. Truth is a powerful weapon… but explosives never hurt. Sophia can run but she can’t hide. RedZone is on her tail and those of the six tech-augmented soldiers who escaped its clutches with her. If she could only focus on fighting her way to safety, she might live long enough to disappear. But it’s not just her own backside she needs to watch out for. At her side is her boyfriend, Kyle. 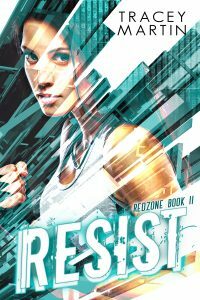 He’s the reason she found the courage to escape, and she’ll do anything to keep him and his secrets out of RedZone’s hands. Only problem is, since she was once sent to capture him, he has good reason not to trust her. In fact, there’s not much trust to go around. RedZone keeps finding them, suggesting someone is a traitor. And if that’s not enough to recapture the group, the organization has a backup plan. One that will force Sophia and Kyle to choose between safety and risking everything one more time.